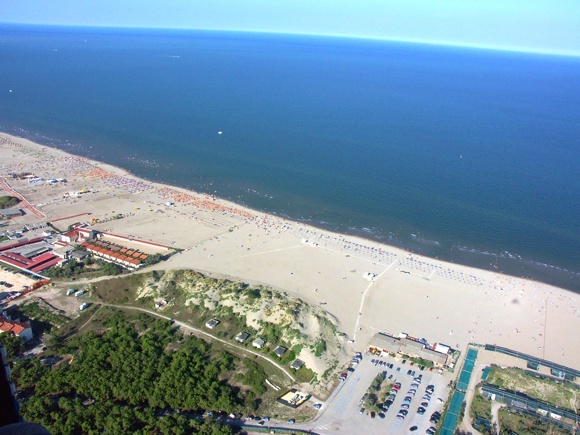 Rosolina Mare is the gem of the Po Delta Park, a 8 km long peninsula surrounded by water from the valleys and the Adriatic sea, mostly covered by a dense and lush pinewood. 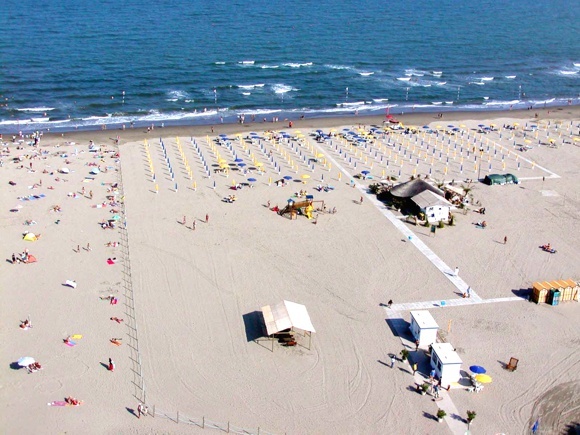 Its crystal clear waters are perfect for long and pleasant swims, while its beach, famous for being exceptionally long, is an immense expanse of fine golden sand, extraordinarily clean (awarded in 2008 with the Delfino Blu Award by the ARPAV and obtained 2 flags from Legambiente and Touring Club on the Blue Guide Programme). 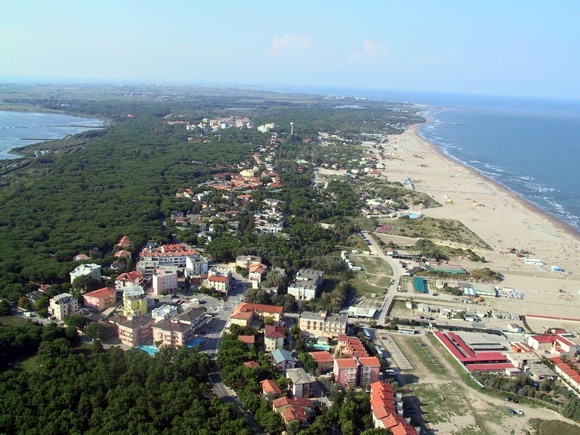 The area has numerous recreational facilities and businesses that meet the various needs of tourists, such as hotels, campsites, holiday parks, flats, swimming pools, tennis courts, tourist harbours, shops and restaurants of all kinds. 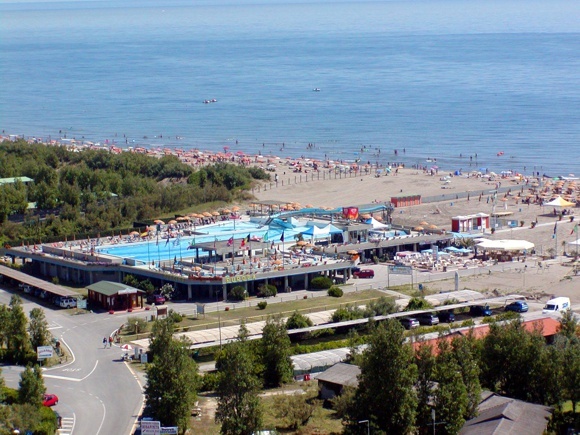 Along the immense beach there are various modern bathing establishments complete with services and comforts, providing entertainment for children so that their parents can enjoy pleasant moments of relaxation. 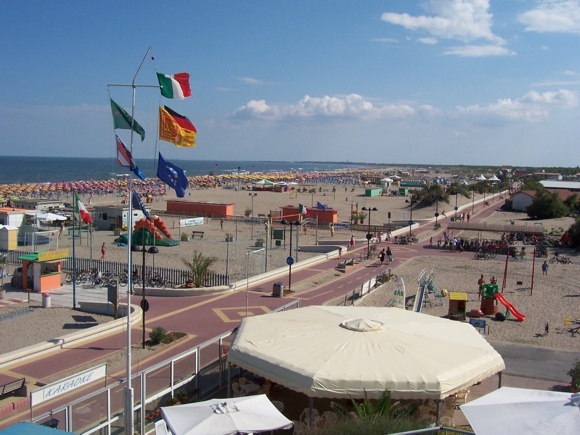 All the bathing establishments consider safety their first priority both at sea and on land, providing first aid, motorcycle ambulance on the beach, highly qualified lifeguards at every station and jet skis for fast interventions. All this, combined with the gradually increasing sea bottom depths, make Rosolina a very safe beach both for children and adults. 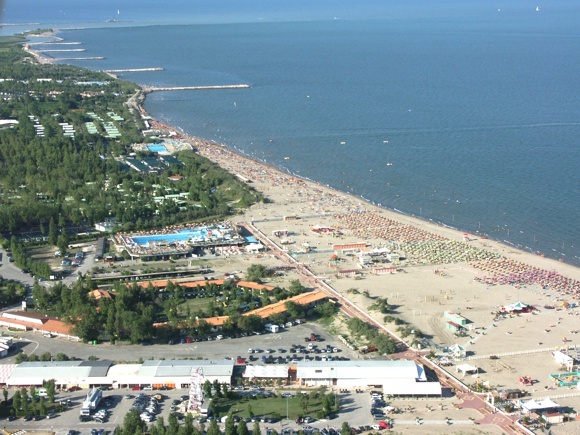 The Beaches equipped for bathing stretch for about 8.5 km with an average depth of over 100 meters. Rosolina Mare has managed a very organized system, so it is able to meet a very wide range of needs. From the needs of those who prefer the tourist resort and the ones of those who prefer the residence to the ones of those who prefer to stay in a flat and to the ones of those who prefer to stay in a hotel. Of course there are also all those services that are now deemed necessary; from the church to the doctor, from the bank to the pharmacy, from the supermarket to the business agency, including swimming pools, bike rentals, tennis courts, horseback riding stables and tourist harbours.